Yes Scandinavian design is gorgeous. We all accept this as a given but sometimes it can seem too clinical. Too blonde. Bland even. Dare I say all a bit too Aryan? Admittedly the Scandi-design world is packed full of Nordic beauties, but it can all get a bit featureless and lacking in character – like a smiley face drawn on to a balloon. I’m talking about the designs here but if I was feeling uncharitable or militant in an #OscarsSoWhite-way, could also apply to the designers. The interiors world can seem a bit Bloomsbury set, or 1930s Mitford sister, with precious little diversity and a cartel-minded consensus of what’s “in” or “out”, depending on which brand’s picking up the drinks or hotel bill. Not that any of us should be following trends or rules of any kind – your home is a personal reflection of yourself so decorate how you want without thinking it needs to reflect the current tastes of blogs or magazines. It’s all too easy to go Scandi, purely because there’s a lot of it about, but when you can introduce stylish lamps that add fun, glamour, and affordable luxury, why blind yourself with an exposed filament bulb? Scandinavian clean lines, minimal shapes, and wood (always so much wood) all have a part to play in the home if you want them to, but adding a dash of Mediterranean flair will provide real interest and style. 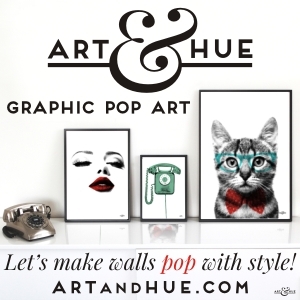 Case in point is the genius designer Jaime Hayon. His early designs still look incredibly modern and timeless with a slick glamour and curvaceousness that you’d be hard pushed to find in Northern Europe. 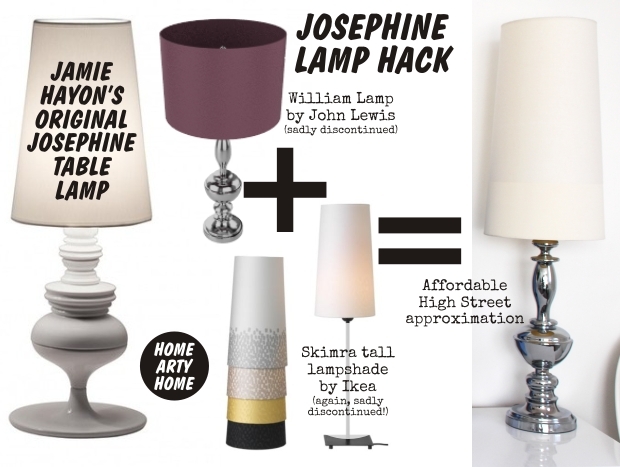 I remember falling instantly in love with his Josephine lamps when they were first created back in 2005 but, at the time, there was no way to order them in the UK. The shape was seductive, folksy, stylish, but unavailable so the only option was to create a high-street hack to approximate the feel and shape. I married a tall Ikea lampshade – Skimra, now sadly discontinued – with a John Lewis lamp-base called William (I ditched the purplish-brown, or liver-coloured drum shade) – again, discontinued! I get that retailers need to free up space on their shelves for new products to entice us with, but it’s a real shame when timeless shapes, which should be staples, are no longer available. 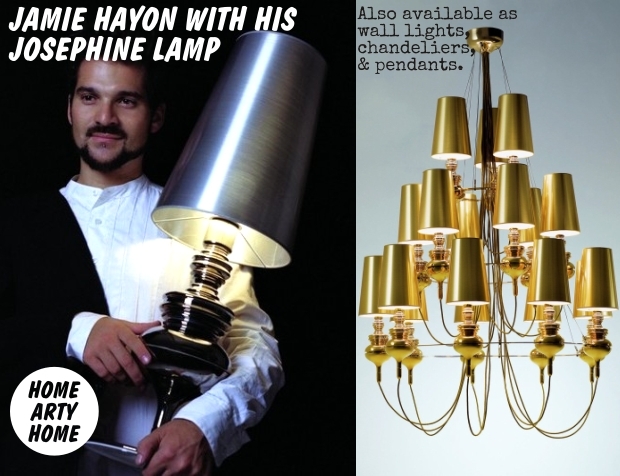 Now, these hacks were put together almost 10 years ago and since then the original Hayon lamps are now available to order for delivery to the UK at a lower price, I think, than when first released. I’m pretty sure they were far more expensive than they are now, if ageing memory serves me well, and it would have pained me to spend so much on a pair of lights. That was then however – now I’ve lived with my high-street hack for nearly 10 years, I love the proportions and the Hayon lamps would be well worth the investment. Time to get the credit card out then to splurge at Ambiente Direct? Not when Marks and Spencer have thrown a spanner into the mix. The last High Street store I would have thought to have looked at for stylish lighting is Marks and Spencer (no offence, but I instantly think of prawn-mayo sandwiches and rows of knitwear that you have to walk through to get to said sandwiches) but Sparks have come up with artful versions of their own lighting called Corsica (see? back to the Mediterranean). 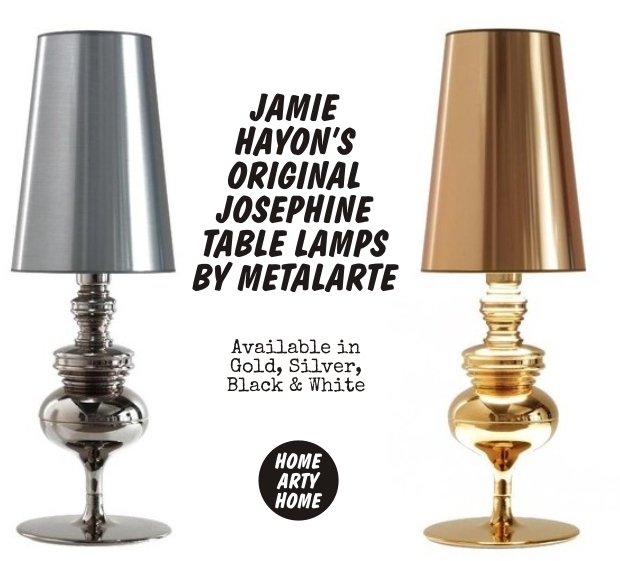 The curvy metallic bases and shades are, shall we say, inspired by Hayon’s beautiful lamps but at a fraction of the price. 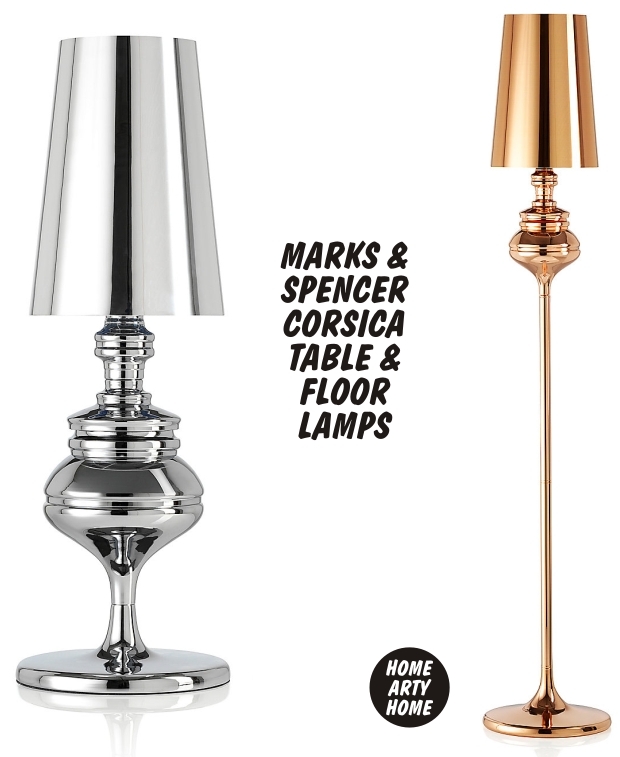 Both are beautiful to look at and it all comes down to the size of your bank balance and how much of it you’d be comfortable spending on lighting. 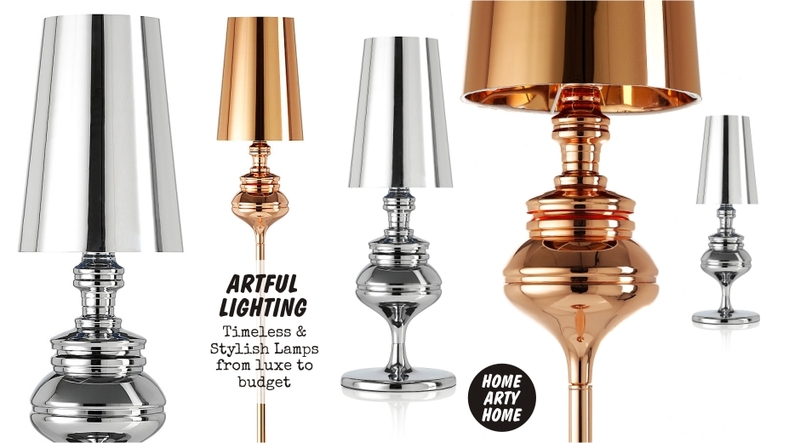 If you’re feeling frugal or strapped, the Marks & Spencer versions are going to be the more viable and affordable option, and still look great, but (there’s always a but), as some of the reviewers on the product pages have commented, the quality won’t be the same as the super-duper Hayon lamps. 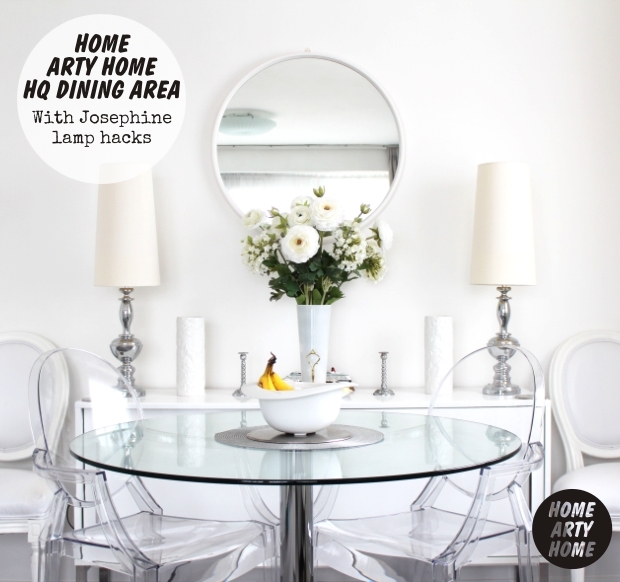 If you can afford the Josephines, by all means get the gorgeous originals. Or if you’ve scouted out bases and shades similar to my high-street hack, go for it and let me know where you found them. 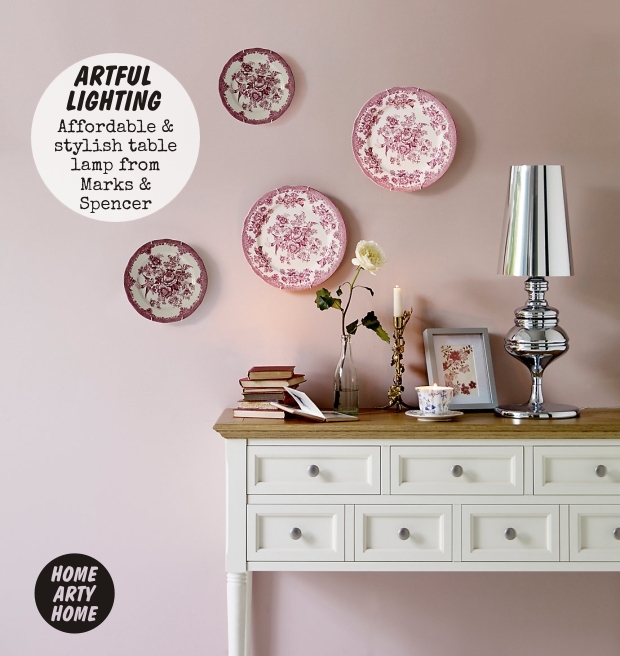 Images by AmbienteDirect, Marks and Spencer, and Home Arty Home.